This review is about item#08337655. 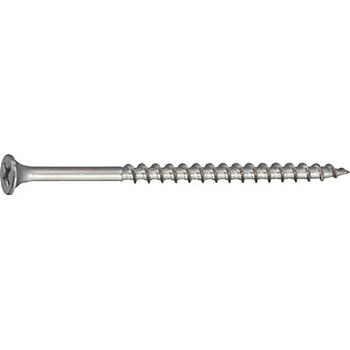 There are various stainless steel screws, but recently it has settled on TRUSCO exclusively. However, monotaro is somewhat expensive compared to other shops. This review is about item#8337691. SUS410 is thinner than SUS 304 so it is easy to use screw. It uses intensity, size and corrosion resistance properly. This review is about item#08337673. This review is about item#08337716. It was safe to use. Although it can not be determined at the present stage whether it is strong against rust. Because the price was reasonable and the number was also less packed, it is a number that seems to be useful when planning fine woodworking. This review is about item#08337752. It was just good enough, I was saved a lot.